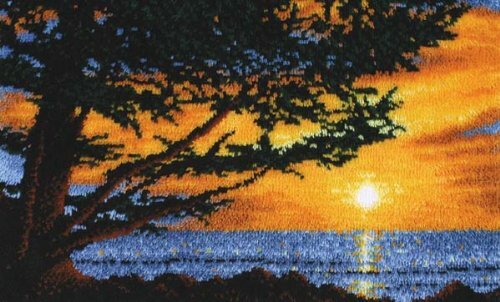 Latch hook kits have come a long way in the past few decades. But one thing remains the same...they are still as easy as 1-2-3! 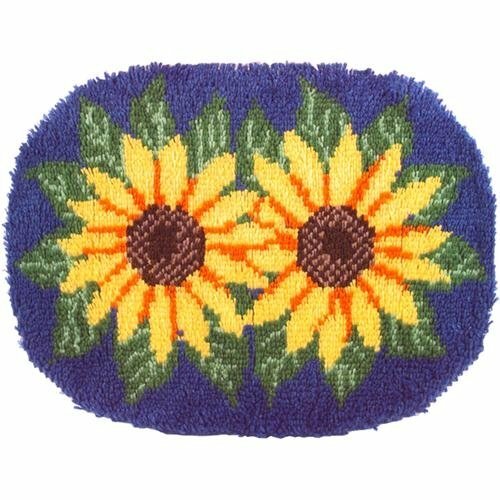 Remember the age-old latch hook kits with all the super simple designs and colors? Well, those are still available if that's what you are looking for. But today, there are a ton of other choices too. 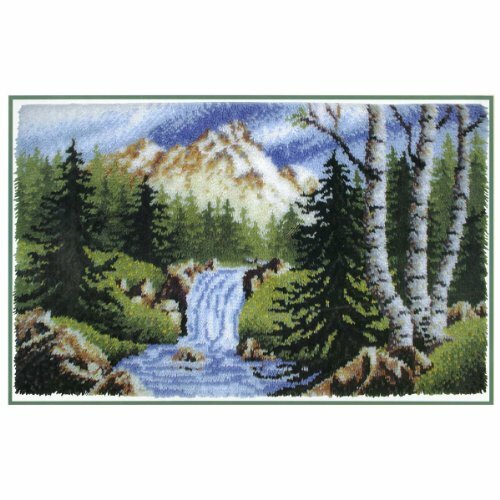 You can choose a rug kit that when finished will rival an artist's rendition of a beautiful landscape. Or perhaps you prefer to work with flowers? 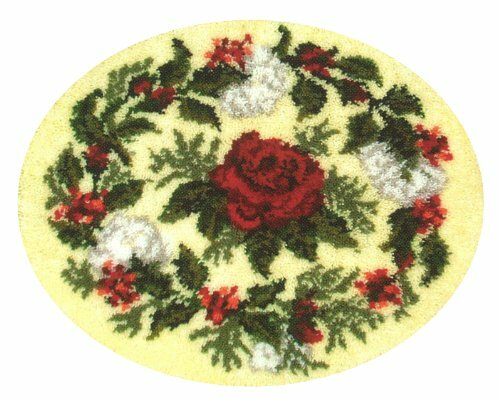 Creating a floral hooked rug or wall hanging is a great way to sooth that inner gardener through the winter months. Animal lover? Yup, there are even kits for you! Just about every animal imaginable has a kit (or several!) dedicated just to them. There are even ones that allow you to turn your hobby into a huggable stuffed animal. Homemade teddy bear, anyone? 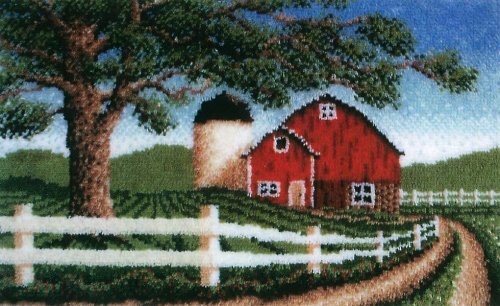 And no matter how intricate the end design, the good news is that you still make it just like the simple latch hook kits of old. One easy hook at a time! These kits make a great gift, whether you are looking for someone else or yourself. (After all, we deserve gifts now and again too!) In fact, we absolutely love giving craft kits as gifts. Why? Because these are gifts that aren't simply shoved in a closet and forgotten. Or looked at and then put away. These are gifts that can give true enjoyment. The fun of crafting all in a nice and tidy box. And once the crafted rug is finished...they (or you!) can keep right on enjoying it. Need a fun way to brighten up a room? Why not add a splash of color in just the right design? Animals make a great alternative for a kids room. Florals work well for a bath or bedroom. And landscapes? Ah, landscapes can go anywhere! Good news everyone! You don't have to have a green thumb to be able to create beautiful flowers! Of course the flowers you help to "bloom" won't actually be alive...but then they won't just last a very short season, either. Your wonderful flower arrangement can last a lifetime! It even comes with bragging rights. When you gather all those compliments on your beautiful new arrangement, you can simply smile and say "yeah, I made that". 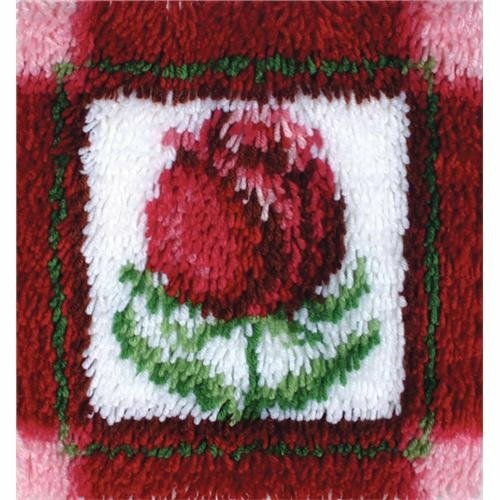 As a wall hanging. Simply use some iron-on binding to seal your masterpiece and it's ready for hanging. As a pillow. Just add a backing and stuffing and you'll have a great accent pillow. Yes, It's Just This Easy! If you are looking to fill a large empty space over a piece of furniture, one of these kits might just be for you. No painting or artistic skills are needed to create these hand-made works of art, either. Simply time and a love of working with your hands. 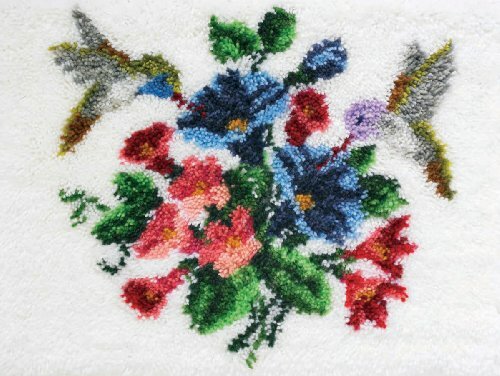 What we love most about latch hooking is the simplicity of it. It's a great way to keep one's hands busy while listening to the television, or commuting. (Just be sure you are not the one driving!) And it's also a fantastic way to de-stress from a hard day's work. It really is amazing how much fun doing so simple a craft can be. Once you get those first few rows completed, it is just so exciting watching your beautiful artwork grow, row by row. One thing though, these larger works will take some time. If you are looking for a kit that will keep you busy for a while, well, these should do just that. And won't they look great over the couch? Great for the Kid's Room! It seems that every one has their own very favorite animal. Some are in love with big cats, like tigers and lions, others love the long necked giraffe, and still others simply adore wolves. And some just like the simpler, home-grown animals so to speak, like cats and dogs. Luckily, whatever animal you favor, there is most likely a latch hook kit to match. From monkeys to tigers, you can find them on Amazon. Unfortunately there simply isn't room to list them all here. 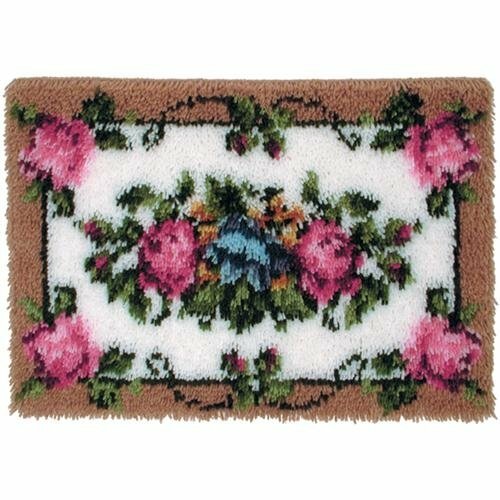 But you can visit Amazon for the complete line of latch hook rug kits. We are very sure that you'll find one to fit your animal of choice! But we want to leave you with a few final words. When you are visiting Amazon, you are going to see kits called "Huggables", these are actual stuffed animals that you can make by latch hooking. Yes, they are very, very cool! But unfortunately, they are probably not for the beginner. 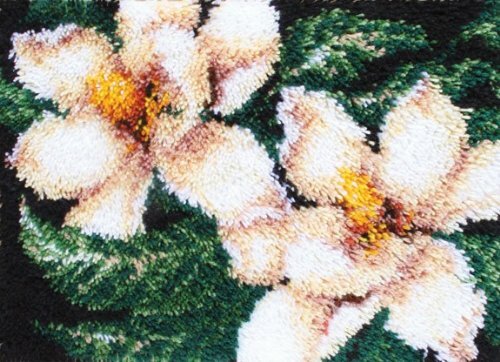 We highly recommend that you not try one of these as your first attempt at latch hooking. Hopefully you have found your next, perfect project by now. If not be sure to click over to Amazon and have a look! Don't Forget the Hook Itself! The kits listed on this page and on Amazon come with everything you need to complete your project...almost. The pre-printed canvas is in there with all the yarn (already cut in just the right size strips) you will need. The one noticeable missing ingredient is the very latch hook itself. For some reason, most kits do not supply the tool. So be sure to add one to your order! Do You Latch Hook Too? I tried when I was much younger, but didn't have enough patience. I have seen some really big ones, reproductions of famous paintings and so on... These can be great pastime, nice relaxation and can also serve as educational tool too. Love the landscape motifs presented! That's too bad if these aren't available where you live. They really are fun to do, and super easy. I did my first one when I was very young. Needlework is fun! I love to latch hook, but I also love my new long loom too. Fun times ahead! 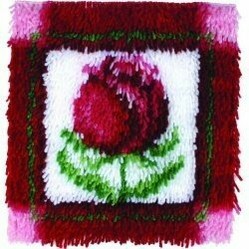 This reminds me to get back into needlework....thanks! They are! I'm working on the two cats sitting on the fence now. My next project will probably be a wolf one. I love wolves! This looks like really great fun! American Girl Crafts is a line of fun things to do for girls 8-12 years old. The big craft stores have special display areas for American Girl craft kits.